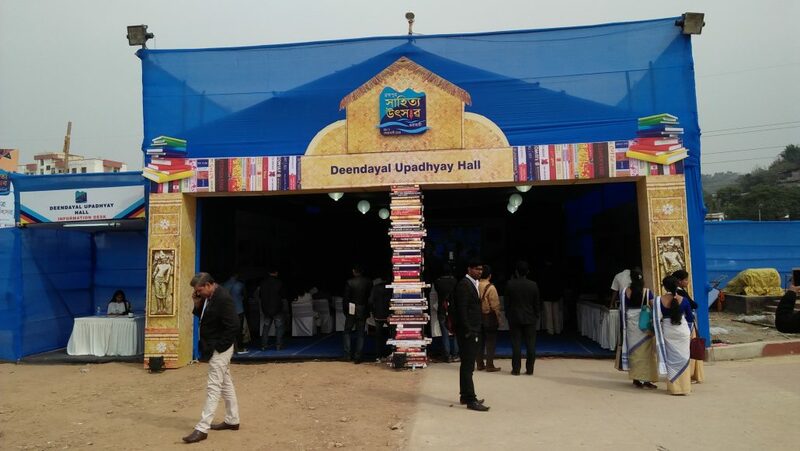 The organisers of the Brahmaputra Literature Festival (BLF), being held in Guwahati, came under heavy criticism from literature enthusiasts for dumping the prominent Assamese writers even as one of the halls in the festival has been named after RSS ideologue Deen Dayal Upadhyaya. Renowned scholar and critic Hiren Gohain, eminent novelist Nirupama Borgohain, poet and critic Harekrishna Deka, story writer Apurba Sharma and many other well-known writers of Assam have not been invited to the second edition of the three-day festival. The festival, jointly organised by the Assam Publication Board and National Book Trust, was inaugurated by Assam Chief Minister Sarbananda Sonowal on Friday at Shrimanta Shankardeva Kalashetra here. Many have said Assamese writers, who have not supported the ‘divisive policies’ of the RSS-backed governments in the Centre and in the State, have been side-lined at the festival. “A festival means an event which witnesses participation from every section of the society. But this has not happened with Brahmaputra Literature Festival. Authors who are close to the right wing government have been invited to the event. I didn’t receive any invitation to attend the event. It is not just me but most authors of the State who are much better known than me haven’t been invited,” young writer Hemchandra Dutta told Northeast Now. They don’t have money to help our litterateurs but they are spending lavishly on such festivals, Dutta said. Activist and writer Kamal Kumar Medhi questioned the logic behind holding this festival. “We have heard organisers have spent Rs 42 lakh just for the sake of promotion of the festival. This is tax payers’ money. The government needs to answer what purpose has been served with this festival. Common people’s participation in this festival is nil. Similarly, most of the eminent writers of the State have not been invited. This is sheer wastage of public money,” Medhi pointed out. He further said that it is sheer mockery that along Leo Tolstory and Madhav Kondoli, a hall has been named after Deen Dayal Upadhhaya. “It is shameful that Deen Dayal who has no connection with literature finds his name with doyens of literature like Tolstoy and Kondoli,” he said. Despite spending lakhs of rupees, the festival has failed to draw audience.